I may be late to the NutriBullet train, but the NutriBullet Balance is a pretty good place to start! I’ve been trialling the next evolution of blending, getting myself smoothie ready for summer while sneaking more nutrients into the kids with delicious daily recipes. 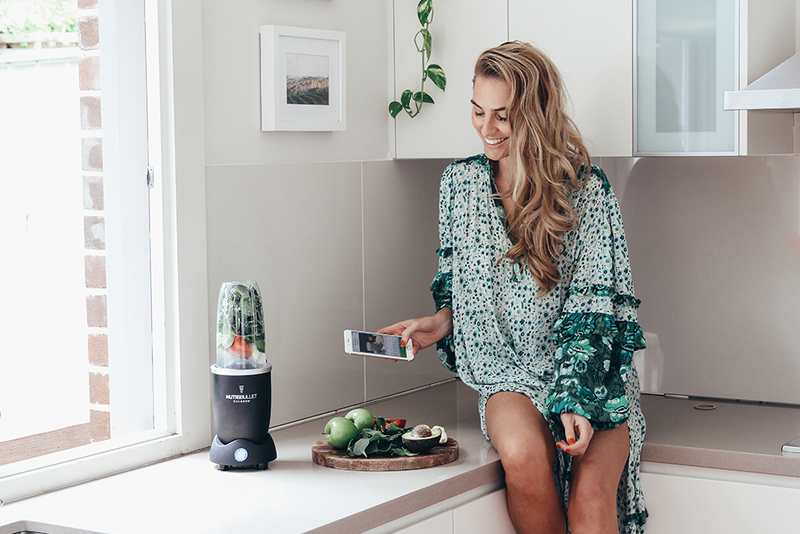 We know that the NutriBullet has long delivered the highest nutrition – more than juicing and blending, it extracts the nutrients – and now the NutriBullet Balance takes it a step further by connecting to an app to calculate real-time nutrition info based on your tastes, needs and health goals. Yep, the Nutribullet Balance is your virtual nutritionist. It’s easy to use and can be as detailed or basic as you like. In addition to getting all the nutritional details for your perfect smoothies, you can set wellness goals, track progress, measure ingredients in real time or just use it for the 100s of recipes – like the Apple Avocado Avalanche below. Shred through your day with an avalanche of flavour! Join spinach, banana, avocado and apple on their steadfast mission to rid the world of unhealthy snacking once and for all! This recipe was taken from the NutriBullet Balance App. Visit HERE for more.